Aven Colony Optimized For Consoles | Nerd Much? Aven Colony is officially coming to and optimized for consoles PS4 and Xbox One (also available on the PC). The trailer below reveals the sprawling landscapes and cities you can build within the game, as it is a city-building simulator with a little strategy thrown in for fun. 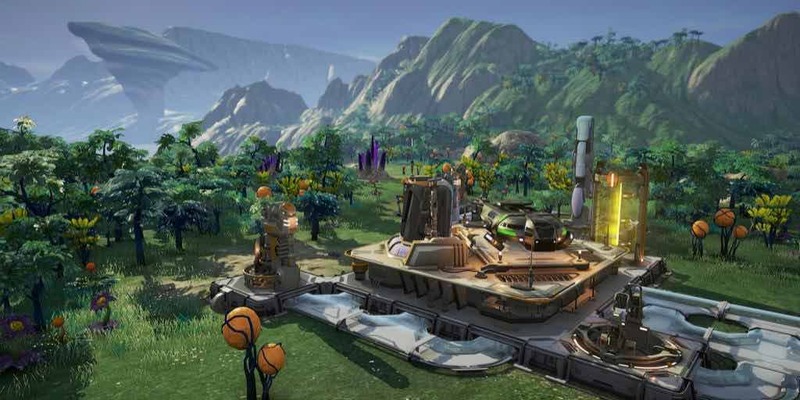 Developed by Mothership Entertainment, Aven Colony brings you a variety of alien planets, ranging from deserts to wetlands. But it’s not all pretty landscapes and skyscrapers, you are entrusted with the responsibility to govern your city too, and manage resources to ensure prosperity. Resources include air quality, water, and food. Crime is also a part of your city’s rating, so be sure to keep an eye on that. The game also features difficult conditions like low oxygen, electrical storms, giant sand worms, plague spores, and a nasty fungal infection called The Creep. There’s even a story campaign for you to explore, which reveals information about the planet and environment you chose. Certainly not with a little implied mystery either. All while you are trying to build the best of the best with featured construction drones that can help you build more faster to house your citizens. These drones can also help you concentrate on establishing trade routes and farm the land properly for more resources.